The Sand to Snow National Monument, the Castle Mountains National Monument, and Mojave Trails National Monument were designated by President Obama on Feb. 12, 2016. The Obama administration set the all-time record high for using executive orders to protect 265 million acres of U.S. land and water. But the latest National Park Service report, as Obama left office, detailed the deferred maintenance deficit for federal and state parks and monuments at $11,927,413,975. As the state with the largest backlog, California already had 28 sites that needed at least $1,769,798,353 in maintenance. 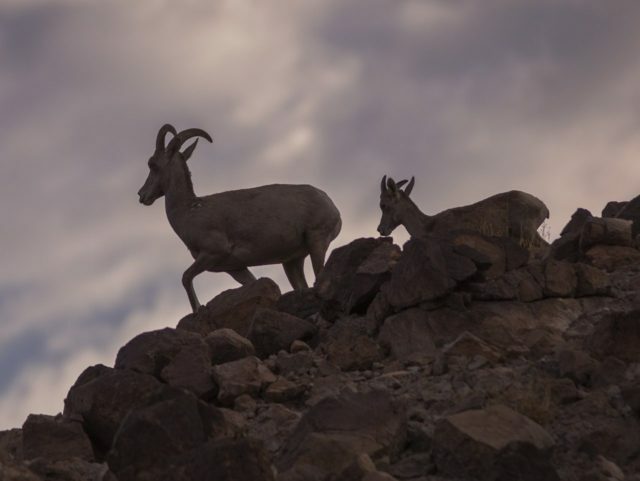 One of the biggest costs for the National Park Service and the National Fish and Wildlife Foundation is to eliminate non-native invasive animals. But there still is no definitive Forest Service or Bureau of Land Management study projecting the costs for the three new California monuments to comply with federal law on that score, and costs could be in the range of hundreds of millions of dollars. All three of California’s new monuments will require removing large numbers of feral cattle, horses, pigs, sheep, dogs, cats, and other animals that were freed and allowed to roam as environmental groups bought up California properties from local farmers and ranchers. Zoologist Roland Kays of North Carolina State University told the Gizmodo tech blog that cats are “an invasive species that can reach outlandishly high densities if left unchecked.” He referred to a 2013 study that found U.S. feral cats kill between 1.4 billion and 3.7 billion birds, and between 6.9 billion and 20.7 billion wild mammals, every year. Desert Regional Director of the Wildlands Conservancy Jack Thompson notes that herds of gigantic, wild cattle that are now wreaking havoc on the environment in the new monuments. He believes that the steep and rugged terrain will make it difficult to round up feral cattle, even as the animals are aggressive toward unknowing day hikers. Interior Secretary Ryan Zinke prepared a report that recommended President Trump consider potentially shrinking some or all of the 27 national monuments established by Presidents Obama, Bush and Clinton. But environmental groups promise they will litigate any effort to change the sites’ existing boundaries and protections.